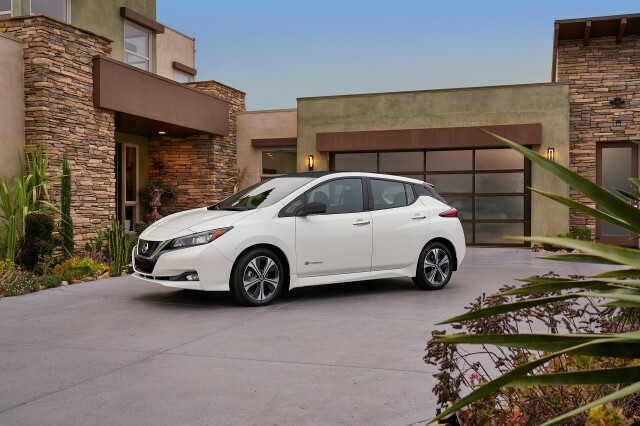 The 2018 Nissan Leaf electric car represents the second generation and a thorough redesign and update of the highest-selling electric car in the world. Although we still await the last details of pricing, features, and options, we know largely what to expect from Nissan's new electric car when it goes on sale in early 2018. Importantly, it enters the market offering a different value proposition than electric cars like the Chevrolet Bolt EV or Volkswagen e-Golf. 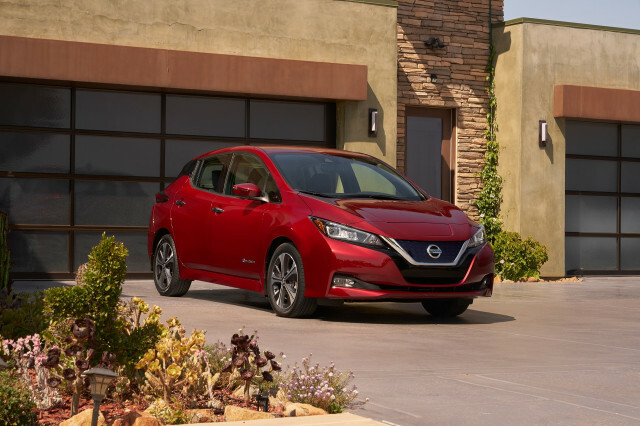 Nissan placed the 2018 Leaf's range squarely in the middle with an estimated 140-mile range rating from its 40-kilowatt-hour lithium-ion battery pack. Power outputs are 110 kilowatts (147 horsepower) and 236 pound-feet of torque. That range is greater than any electric car starting around $30,000, including the e-Golf at 125 miles, though of course it doesn't match the Bolt EV at 238 miles. The extra range of Chevy's electric car, however, will cost buyers: the starting price is roughly $7,000 higher than that of the 2018 Nissan Leaf. Like the outgoing Leaf, the onboard charger remains at 6.6 kilowatts, with 50-kw CHAdeMO DC fast charging available. With the fast-charging capability, it will take about 40 minutes to achieve an 80-percent charge. The bigger news—literally—is the addition of a larger 60-kilowatt-hour battery pack coming for the 2019 model year, which will provide the Leaf with range past that coveted 200-mile mark. 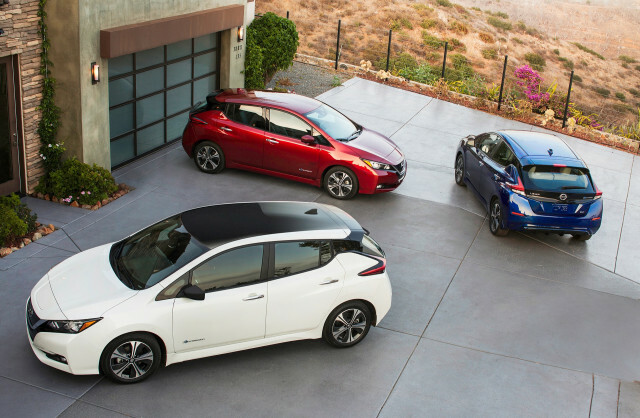 At launch, Nissan will offer the Leaf in three trims: base S, the mid-level SV, and the top-of-the-line SL. The brand has only priced the electric car to start at $30,875; it's unclear where the better-optioned SV and SL will fall on the price spectrum. Standard equipment includes a 5.0-inch touchscreen display, Bluetooth, a single USB charging port, and 16-inch steel wheel covers. The SV adds niceties such as adaptive cruise control, and 7.0-inch touchscreen display, while the SL gains leather seats, a surround-view camera system, and a cargo cover. Optional packages include the Tech package with LED headlights plus a suite of active safety features and an all-weather package. That bundle adds heated seats, a heated steering wheel, and a heat pump on SV or SL models. Nissan will also offer the optional charging package that includes a CHAdeMO quick-charging port and a 120/240-volt charging cord. The 2018 Leaf wen on sale in Japan in October, and we await more specific news on its U.S. availability. Pre-production vehicles are now being built at the company's huge assembly plant in Smyrna, Tennessee, and the first buyers may get their cars as early as January.